South Bank Legal’s shareholder disputes solicitors know that the initial task at hand will be to identify the terms of the shareholders’ agreement. Often, the parties will have taken legal advice at the outset of their business relationship and had a shareholders’ agreement or joint venture agreement drawn up. It is not always this straightforward however. Shareholder disputes often arise where the parties have commenced their venture together on a “handshake” basis. Where friends or family are concerned, or in the case of a successful start-up business with humble beginnings, there may be no written agreement, meaning the parties’ rights and obligations are not conveniently set out in one place. This usually requires piecing together the terms of the agreement from past conversations and written communications. It can seem difficult, but it is an essential task that litigationlitigation: the bringing of a lawsuit or legal claim in cour... More solicitors should look to perform with precision. 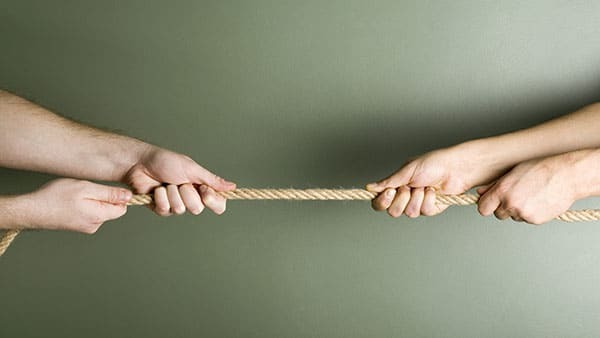 50/50 shareholder deadlocks– often arising where no written shareholders’ agreementshareholders’ agreement: an agreement between two or more ... More exists, the shareholders cannot agree on how to take the company forward and no shareholder has the majority vote required to make key decisions. Communications between the parties have often broken down in these situations. Our shareholder disputes solicitors have negotiated amicable resolutions to the most difficult of 50/50 deadlock cases. Unfair prejudice claims– notwithstanding the existence of a shareholders’ agreement, shareholders can obtain statutory remedies under Part 30 of the Companies Act 2006, where the company’s affairs have been conducted in a manner that is unfairly prejudicial to the interests of shareholders. Unfair prejudice claims are common and courts have the power to order that an affected shareholder be bought out by the company or the other shareholders. Disagreements as to funding– sometimes a venture will require further capital contributions from the shareholders or partners. Disputes can arise where there is no clear agreement as to how the venture will funded beyond initial capital contributions. Funding stalemates can destroy the value of a venture if they are not resolved efficiently. If you are a shareholder or partner in a venture and wish to understand your rights or potential claims, you can contact an expert solicitor at South Bank Legal today for a confidential discussion.